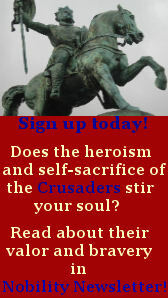 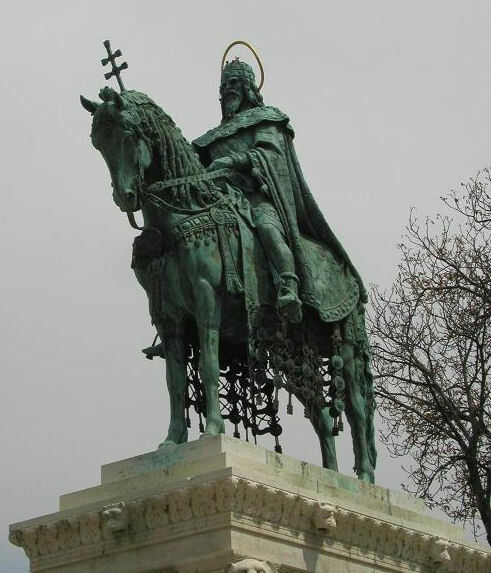 First King of Hungary, born at Gran, 975; died 15 August, 1038. 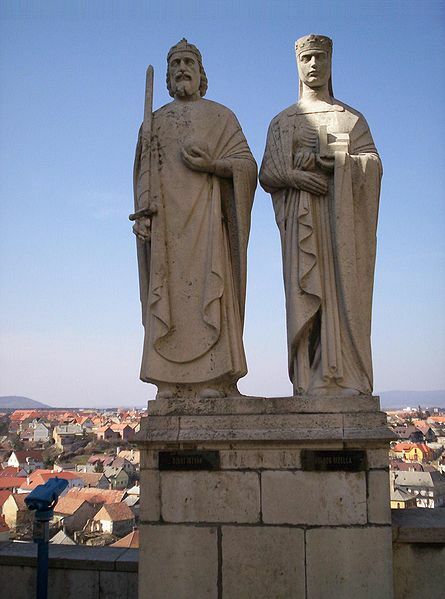 He was a son of the Hungarian chief Géza and was baptized, together with his father, by Archbishop St. Adalbert of Prague in 985, on which occasion he changed his heathen name Vaik (Vojk) into Stephen. 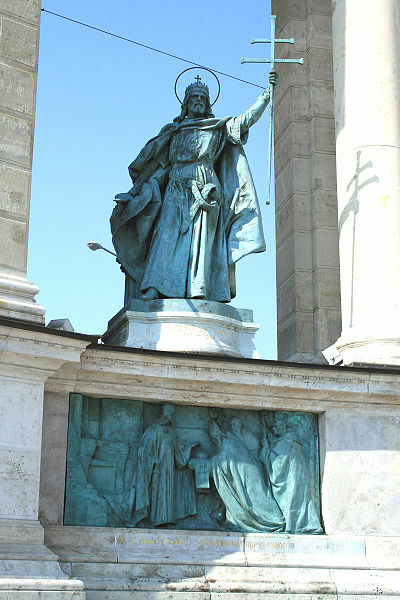 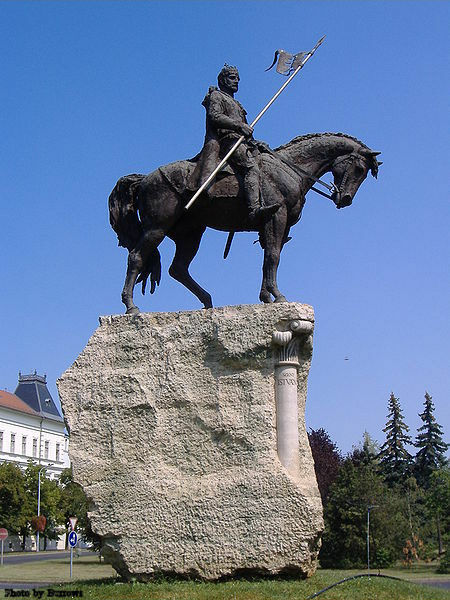 Statue of Stephen I of Hungary – Stephen I of Hungary, Millenium Monument on Heroes’ square, Budapest, Hungary. 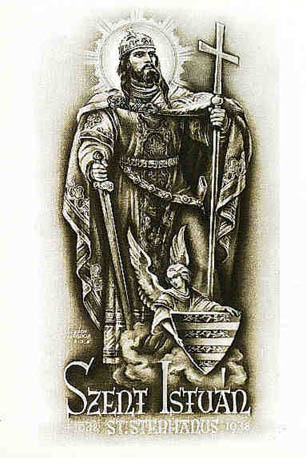 L. The Incorrupt hand of St. Stephen of Hungary. 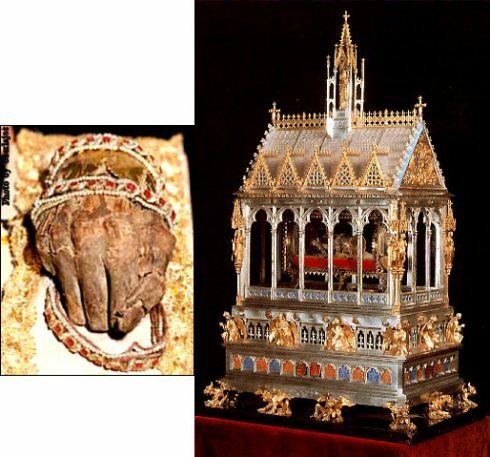 R. The Reliquary that holds the Incorrupt hand (also called “The Holy Right”) of St. Stephen I of Hungary.